SIFMA recently hosted our annual Insurance and Risk-Linked Securities Conference, IRLS 2019. While many topics were discussed – the new normal given global 2017 and 2018 natural catastrophe events, using various IRLS products to navigate challenging markets, assessing wildfire and other new risks and maintaining liquidity as the scope of instruments traded has broadened considerably over the years – we uncovered a theme which is applicable to other sectors within financial services, outside of the IRLS world. 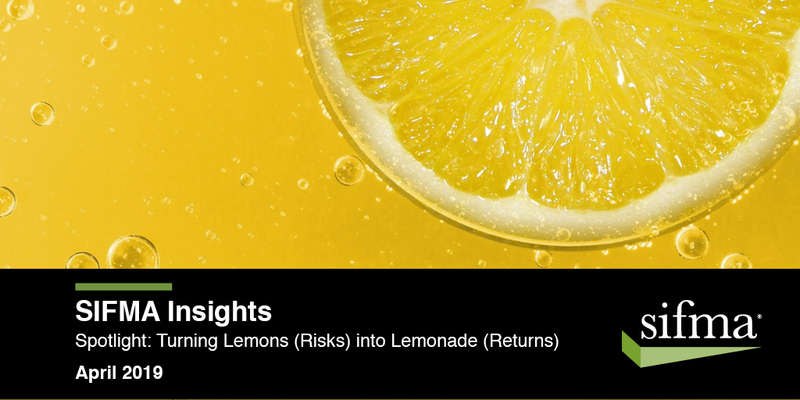 How do we turn lemons (risks) into lemonade (returns)? The idea is to assess an existing risk and find a way to develop new products and deliver returns to investors. The added benefit is that developing new types of catastrophe (cat) bonds also helps the timely and efficient flow of money to the victims of the crisis. The trick is developing the products so that investors become interested, as it is often difficult in the beginning to asses new risks and therefore calculate the appropriate returns necessary for that risk. Finding this balance provides firms the opportunity to expand product offerings or even their client base. 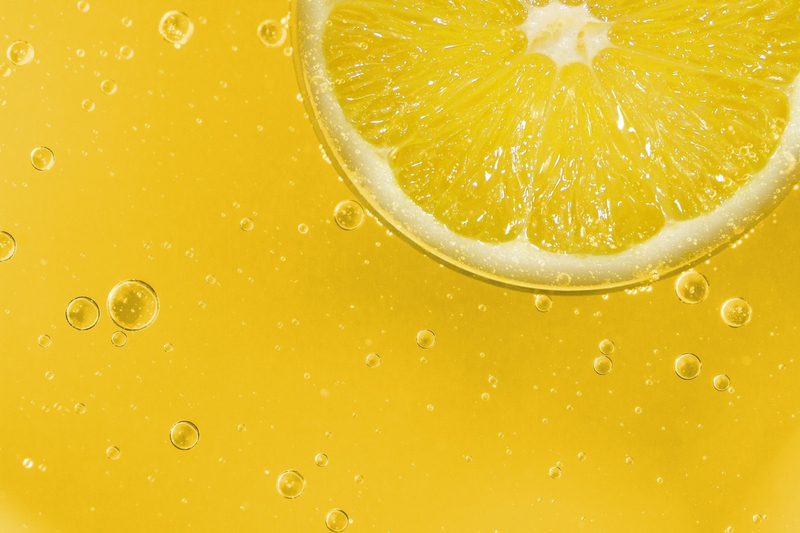 Turning lemons into lemonade – the idea is to assess an existing risk and find a way to develop new products to deliver returns to investors. A recent example of new product development was the World Bank’s $425 million in pandemic bonds in 2017, which were 200% oversubscribed. Panelists at our IRLS conference noted they expect the industry could deliver more direct cyber bonds in the future (similar to pandemic bonds), turning cyber risk into investor returns. A recent example of new product development is the World Bank’s Pandemic Emergency Financing Facility (PEF). The PEF was developed to complement efforts to strengthen national and international systems to prevent, respond to and manage public health crises (for example, the 2014 Ebola outbreak). The PEF is a facility established for the purpose of providing financial support to countries and crisis response agencies to help prevent a high-severity infectious disease outbreak from becoming a pandemic. The objectives of the PEF are to: (a) supply surge financing to key responders (governments, multilateral agencies) to an outbreak with pandemic potential to minimize health and economic consequences; and (b) help catalyze the creation of a global investment market for pandemic insurance instruments by drawing on resources from insurance, bonds and/or other private sector financial instruments. The pandemic bond established under the PEF system is a type of cat bond. The World Bank will pay bondholders a coupon that replicates an insurance premium plus a funding spread, in return for a payout if the bond is triggered. Payouts will depend on the size of the outbreak, the growth rate and the number of countries affected. It was the first of its kind for epidemics and was established to ensure money is disbursed much faster than during prior health crises, like West Africa’s Ebola crisis. While the PEF itself was valued at $500 million to be dispersed over a five-year period starting in 2017. The pandemic bonds and related derivatives that were issued in 2017 comprised $425 million of that money. There are two varieties of debt scheduled to mature in July 2020 – the first bond raised $225 million, with a 7% interest rate and payouts suspended if there is an outbreak of new influenza viruses or coronaviridae (SARS, MERS); the second bond raised $95 million, with an 11% interest rate and payouts suspended if there is an outbreak of a set list of other viruses. The World Bank also issued $105 million in swap derivatives related to the bonds. While complex in construction and timely to bring to market, the World Bank’s pandemic bond sale was 200% oversubscribed. The bonds were sold to investors seeking the high-yield returns offered, with the majority of buyers being from Europe and including dedicated cat bond investors, pension funds and asset managers. Could a Cyber Bond Be Next? Most (if not all) of us in financial services spend a significant amount of time discussing cyber risk. There are now more mobile devices than people on the planet: 8.9 billion versus 7.6 billion. The access to information is instant while on the move, with an increasing number of devices being connected to the Internet. There is also an unprecedented amount of personal information (data) posted and transferred online. All of these access points increase the risk of cybercrime, as there are many more entry points for criminals to access accounts to steal money or hack databases. Firms are constantly assessing the risks and areas of the firm that may be vulnerable. Firms are making significant investments in technology to prevent cyber attacks, and they are building cultures of compliance across the organization to keep everyone vigilant in monitoring cyber risk. Yet, questions still remain around what happens if there is a significant attack, in terms of monetary compensation. Enter IRLS – could cyber risk now present an opportunity in terms of new product development, a cyber bond? After all, the IRLS industry was able to develop and sell terrorism bonds. Terrorism bonds, a type of cat bond, provide investors the opportunity to lock in high yields in return for taking on terrorism risks. The bonds only suffer losses if insurers have to payout funds over a certain threshold of net damages related to terrorism (chemical, biological, cyber, etc.). This spreads terrorism risks to the private markets and prevents governments from covering all of the losses in the event of an attack. Panelists at our conference noted they expect the IRLS industry could deliver more direct cyber bonds in the future – which private corporations could issue to protect themselves from attacks, similar to government examples with terrorism bonds – even building out a new market. These bonds would be similar in complexity to the World Bank’s pandemic bonds, but they are possible to develop. Panelists further indicated cyber bonds could have a broad, “interesting” distribution of investors versus other cat bonds. Perhaps financial services will soon be able to turn cyber risk into returns for their clients, on a larger scale.